Lincoln County birth, death, and marriage records from 1917 on are available to qualified people from the state Health Statistics Center for $12 (in most cases). With few exceptions, public records include birth records older than 100 years and death, marriage, and divorce records older than 50 years. The Lincoln County Clerk maintains vital records before 1917, including county divorce records. 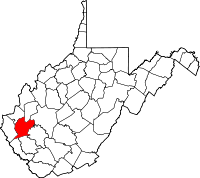 Named for Abraham Lincoln, the county was created in 1867 from Boone, Cabell, Kanawha, and Putnam Counties. The first non-Native American settlers arrived in the area around 1800. Chuck Yeager, first pilot who to break the sound barrier, grew up in Lincoln County.